To save the lost Little Witch from the Demon Lord, the Witch and Heroes must fight together! Witch & Hero 3 is an action game where you control the Witch, Hero and Little Hero at the same time. The two Heroes are physically strong and will keep fighting no matter how many times they're beaten. The Witch, however, is vulnerable and even weaker in stone form – if she goes down the game is over. When the Heroes protect the Witch and fight, they can collect monsters' blood from defeated enemies. When the Witch's magic power is full, she can temporarily be cured of the stone form and use magic to fight back against dangerous enemies. Clear stages by defeating boss enemies and seek revenge over the final Demon! 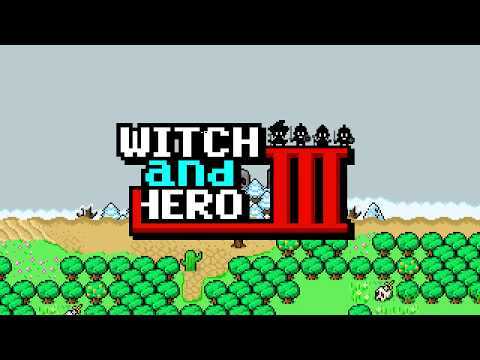 Witch & Hero 3 was released on 3DS and Switch 392d ago in the US and the UK. Notify me when Witch & Hero 3 is available.